Collins Law Group can provide assistance with the estate planning process. If you want to make the future more secure for your loved ones, while also protecting your assets and autonomy, estate planning is essential. Knowing where to start can be difficult, especially as estate planning goes far beyond just creating a simple will. We can help. When do I need to make an estate plan? How can a California estate planning lawyer help? Building wealth during your lifetime and protecting your assets with strategic planning so you can leave a substantial legacy behind. Planning in case an illness or injury results in your incapacity, so you have control over medical care and asset management even in these difficult situations. Creating a succession plan for your business or family farm which you want to hand down to the next generation. Making a comprehensive plan for charitable giving so you can make an important difference in the world while maximizing your tax benefits. Ensuring minor children are provided for, including having an appropriate guardian and someone to effectively manage their financial inheritance. Creating a comprehensive plan for the transfer of wealth after you die so you can avoid estate tax, allow heirs to inherit in a timely manner, and protect what you have worked for. 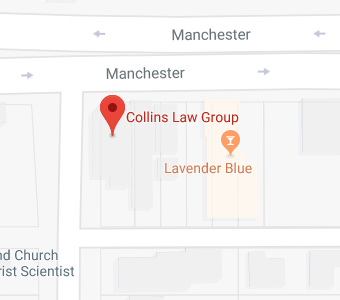 Collins Law Group will discuss your current family and financial situation and your projected future plans, as well as going into detail on other considerations that could affect your estate plan. Once you have worked out your goals, we will help you to use a wide variety of legal tools like wills; trusts; advanced directives; powers of attorney and more. We assist with carrying out an appropriate strategy so you can accomplish all you dream of during your life and so you can make a lasting difference for your family and the world after you are gone. You need to make an estate plan today if you do not currently have plans in place in case of incapacity or untimely death. You never have any guarantee of how long you will be healthy or be alive to be there for your loved ones. Even young people experience tragic accidents. While no one likes to think this could happen to them, things will be far worse for you or your loved ones if tragedy strikes when you are wholly unprepared. If you wait to make an estate plan and you get hurt or sick and are no longer of sound mind, you won’t be able to express your preferences. Your family could be thrown into financial and legal turmoil, struggling to make medical choices, get control over assets, decide how to pay for a nursing home, or fighting over an inheritance in court. A legacy of family fighting could be just the beginning of the problems that arise if something happens to you and you have no estate plan. The government could end up with a big chunk of your estate due to taxes, and your loved ones could end up inheriting little if all of your wealth is spent on nursing home care or on court costs and fees during estate litigation. Even in a best case scenario, the default California laws which apply to determine distribution of assets may result in loss of control over your future and loss of control over the inheritance you leave behind. Don’t let this happen- make your plans now. Collins Law Group will assist you in creating a comprehensive estate plan that is appropriate to your situation. To discover more about the estate planning process and to get help from an experienced attorney, give us a call at 310-677-9787 today or contact us online. Our California estate planning attorneys have the insight and compassion to help you make the right plans for you and your loved ones.